During my walk from Juno Vancouver to Burrard Station after Episode #63, I passed by a small but very busy Chinese-run sushi place by the name of Yamato Sushi. I Googled it to see mostly good reviews and also discovered that they had Prawn Tempura Nigiri. How could I resist? Despite the fact that the decor was simple and slightly worn out, it was interesting to see candles on the tables. The Wild Salmon Sashimi was very fresh and flavourful and I would have given it an A if I had not found a rather large bone in it. The Tai Nigiri packed sufficient flavour and was correctly sliced thinner to avoid being too chewy. 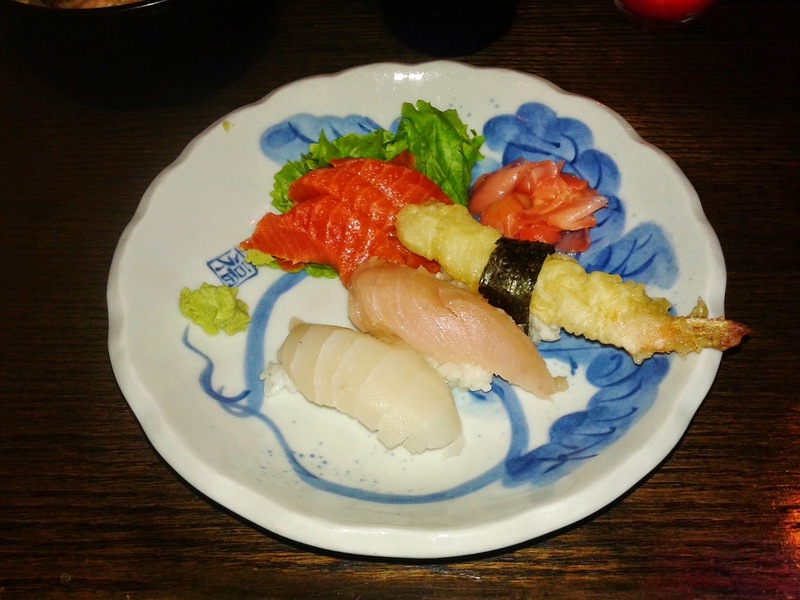 The Toro Nigiri was also very fresh and melted perfectly in my mouth. The Prawn Tempura Nigiri didn't really work out as well as I thought it would as it was lacking in flavour. The Dragon Roll consisted of unagi, avocado, masago and prawn tempura. The flavours worked nicely together and the tempura batter provided some crispiness to the roll. The sesame seeds helped accentuate the flavour of the unagi and although the mayonnaise was a bit thick in places, I liked how the roll wasn't drenched in sauce. 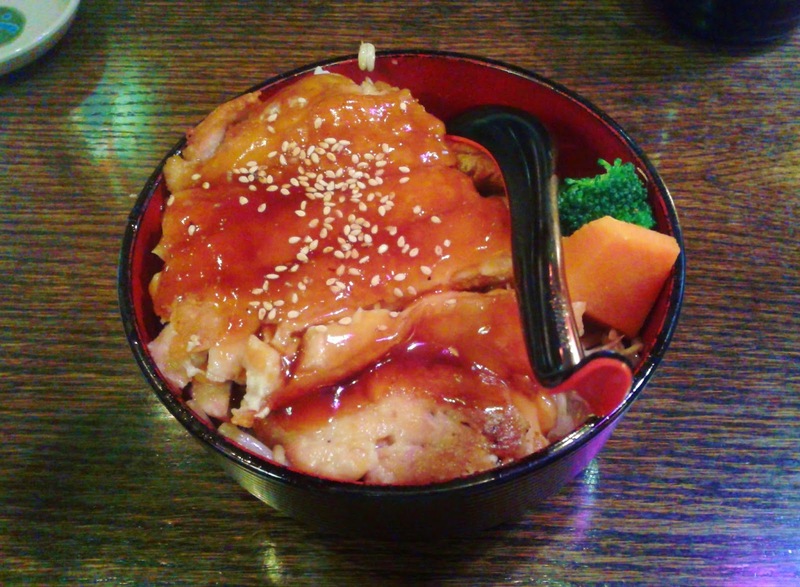 The Chicken Teriyaki with Rice ($5.50) came in a larger portion than I had expected considering the price. They were generous with the chicken, which was generally well-prepared and tender. I liked how the carrot was full of moisture and not hard. The rice was a bit disappointing as it was hardly dressed and mushed together in places. Overall, the food was fresh and exceeded my expectations considering the location and price range. The service wasn't terrible but it wasn't very good either as it felt a little rushed. I felt like I had to put up with a lot of things, such as cramped seating, a wobbly stool, and the fact that one of the servers had a difficult time controlling her allergies. I would recommend ordering take out instead of eating in during their busy hours.